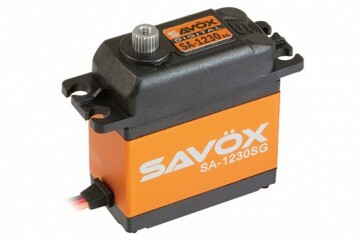 This is the Savox SA-1230SG Monster Torque Steel Gear Digital Servo. Coreless motor provides extremely high speed, incredible efficiency, and low power consumption. Our servos are totally green - from materials to production, these servos are environmentally friendly. Ideal for giant scale aircraft, monster truck, 1/8 scale.